Special appearance by Santa Claus. 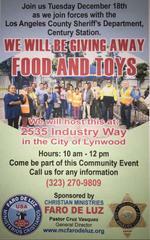 Please come join us in our community giving event. We look forward to seeing your smiling faces.